We’ve screened more than 1 million men aged 65 and over since the national implementation of AAA screening began in 2009. Our data for 2015 to 2016 is fascinating reading at both local and national level. It reinforces the findings of a recent study that concluded AAA screening is both effective and cost effective. The incidence of aneurysms in older men continues to fall with only 1.12% of cohort men (those who turned 65 during the year) having an aneurysm detected. The incidence was, however, much higher (2.92%) among men over 65 who self-referred for screening. National screening coverage – the percentage of eligible men screened – was similar to the previous year at 79.8%. Locally, it ranged from 70.7% in South East London to 87.2% in Somerset and North Devon. North Central London saw coverage increase to 78.2% from 70.2% the previous year. Cheshire and Merseyside also recorded a significant increase – from 69.3% to 73.8%. We referred 723 with large aneurysms and 568 underwent surgery. The remaining men declined surgery, were not fit to undergo surgery or were inappropriately referred. Sadly, 8 men died following surgery, a mortality rate of 1.4%. 9 screened men died from ruptured (burst) aneurysms – 7 of them were men who were unfit for surgery after being referred. 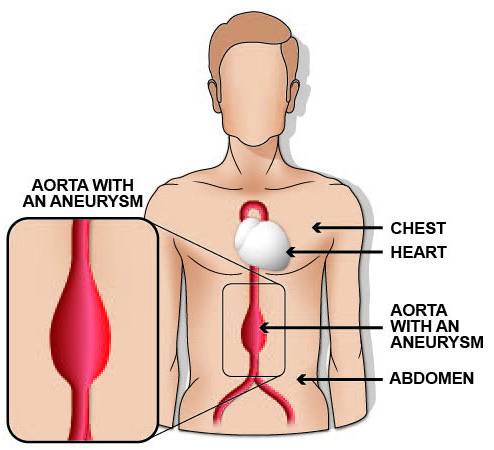 The success of AAA screening depends upon the timely and effective treatment of the men we refer with large aneurysms. The programme has 2 national standards to ensure high quality and timely intervention. Referred men should be seen by a vascular specialist within 2 weeks. Referred men who are fit for surgery (and consent to surgery) should be operated on within 8 weeks. During 2015 to 2016, 94% of referred men were seen within 2 weeks for vascular assessment (similar to the 93% reported the previous year). And 68% of referred men were operated on within 8 weeks – a significant improvement on 52% in 2014 to 2015. Full data for the 41 local AAA screening providers in England can be downloaded from GOV.UK. This latest data is very encouraging and I am pleased to see the increase in the number of men who self refer. I would be interested to know the breakdown of age groups of those who underwent surgery rather than just stating over 65? The public invitation could then be changed from 'Are you 65+' to 'Are you aged between 65 and 79'. Thank you for your message Sam. Most men who self-refer for screening are aged under 70. However, we would not want to exclude or discourage any man from self-referring for AAA screening and there are men aged over 80 who have undergone successful operations to repair aneurysms detected by screening.